In this lesson, we will learn how to identify the properties of addition and multiplication that are used to evaluate an algebraic expression. In going from the second equation to the third equation, the fact that 1 4 × 4 = 1 is used. What other property of numbers is used in this step? Sameh has used properties of addition and multiplication to write equivalent expressions. Samar has used properties of addition and multiplication to write equivalent expressions. 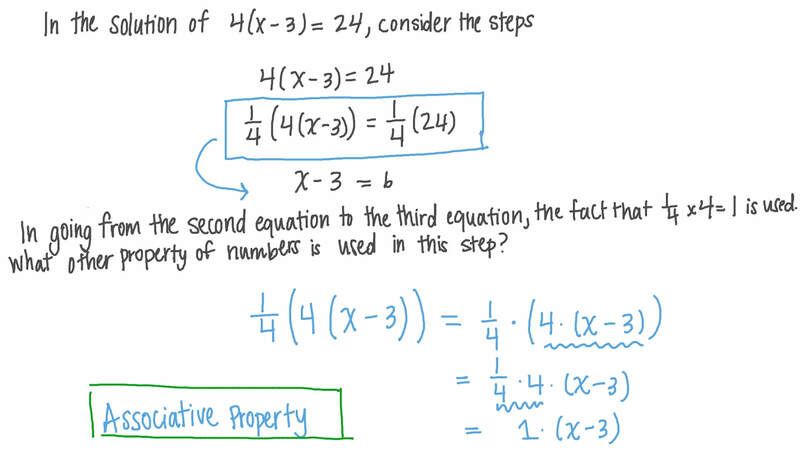 Which equation shows the associative property of addition?